Our ethos is quite simply “The interests of our clients are paramount at all times”. We move people, not properties so endeavour to completely understand the reasons and motivations for trying to move home and recognise there is no substitute for hard work. Nicholas Heath established Kings Estates Tunbridge Wells office in 2010 after 20 successful years managing the Kings Group. 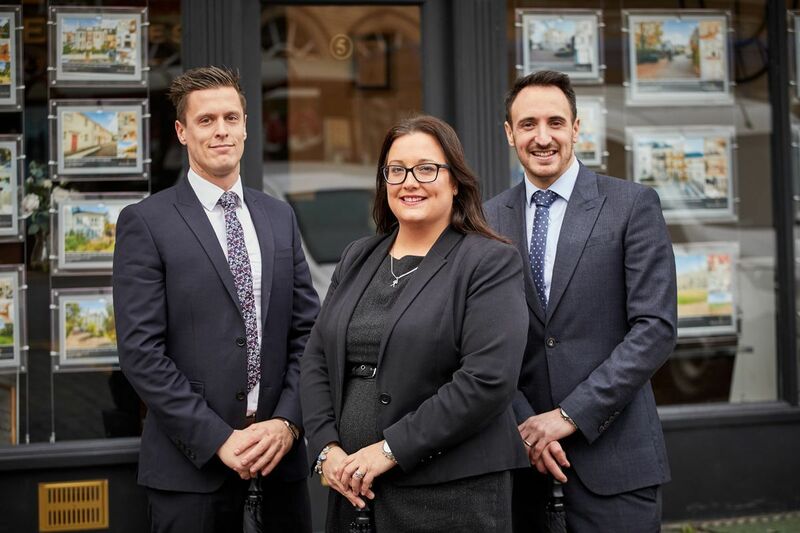 He is ably supported by his Co-Director daughter, Gemma Collins, who has practised residential estate agency for over 17 years, and his son, Mike Heath, also a Director, heading up the residential letting and property management department for 8 years. 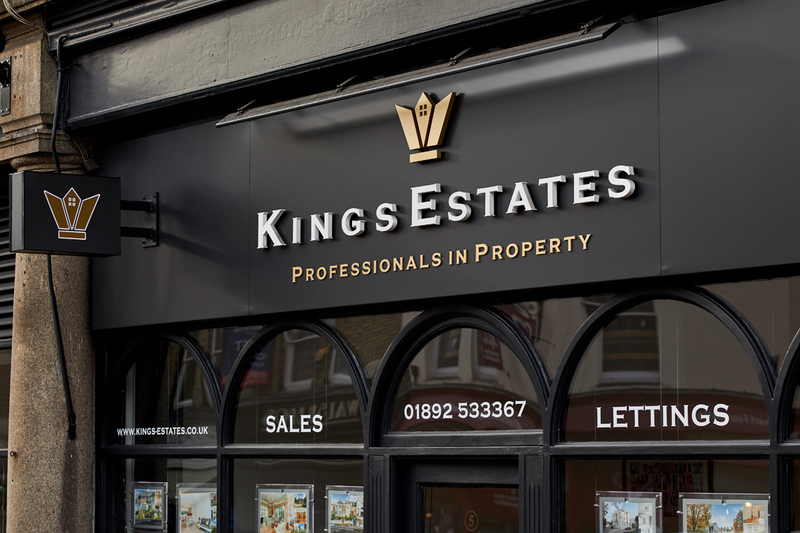 Kings Estates is part of the National Association of Estate Agents (NAEA) as well as the Association of Residential Lettings Agents (ARLA). The office enjoys an enviable trading position adjacent to Tunbridge Wells mainline train station and opposite the Great Hall Arcade shopping centre capturing hundreds of daily commuters. "Our customers come back to us time and time again and recommend us and our team to their friends and family due to trust and exceptional service. Our team has a fantastic local knowledge and always strive to go the extra mile." For more reasons of why to choose Kings Estates click here. Kings Estates are proud to offer this spacious two-bedroom ground floor maisonette with private entrance, large private garden and with no onward chain. We have been trading in Kent since the late 1970's and have become a well-respected household name with unparralleled knowledge of the local area. 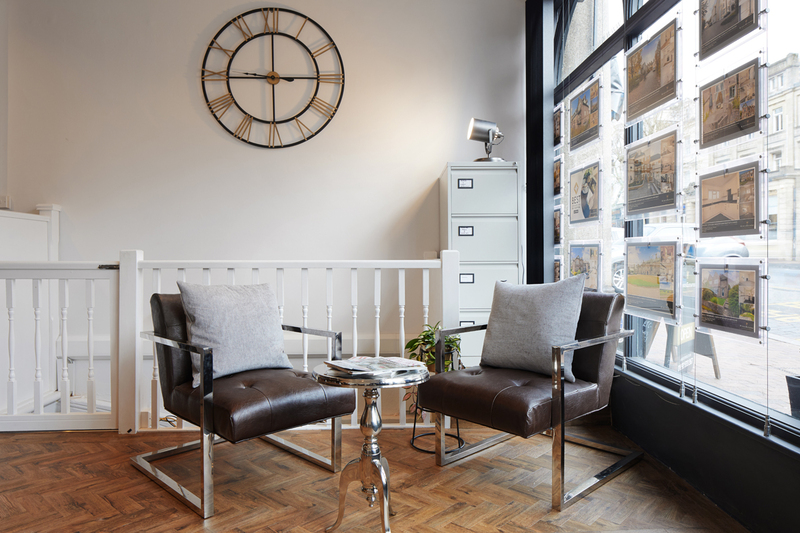 Our office is located next to TunbridgeWells mainline train station capturing the attention of hundreds of commuters daily and making it convenient to visit. Here’s some helpful information for anyone looking to move into this beautiful area. The houses in Tunbridge Wells are predominantly Georgian or Victorian and, with much of the town designated as a conservation area, new developments are often designed in a sympathetic style. The cream of the town’s property is to be found in ‘the Parks’, principally Calverley Park, Camden Park, Hungershall Park and Nevill Park. 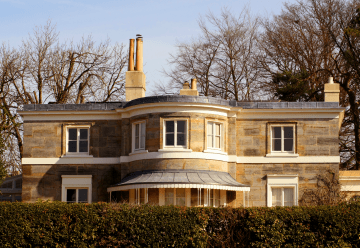 Original Regency villas in Calverley Park, designed by Decimus Burton, fetch a premium. The cottages and townhouses of the ‘old village’ area around the High Street are popular with commuters who want to live within walking distance of the station. The surrounding countryside offers a wide range of properties: cottages, farmhouses, oast and barn conversions, country mansions and estates, and contemporary and eco houses. The popular villages include Penshurst, Speldhurst, Groombridge, Frant, Matfield and Brenchley. Many families move from London to Kent to take advantage of the grammar school system and the excellent independent schools in the area. The leading private schools are Sevenoaks School, Tonbridge School, St Leonard’s School in Mayfield and Eastbourne College. The sought-after grammar schools include Tunbridge Wells Grammar School for Boys, Tunbridge Wells Girls’ Grammar School and The Skinners’ School. 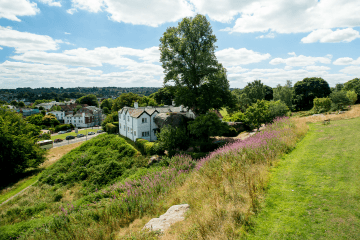 Green spaces are a major feature of the local lifestyle: the Common and Dunorlan Park provide swathes of woods, hills and landscaped grounds that extend right into the town centre. Much of the area we cover is part of the High Weald Area of Outstanding Natural Beauty. The Ashdown Forest and Bewl Water reservoir are close by, offering glorious scenery and a wide range of outdoor activities, and the coast is easily accessible — Rye, Camber Sands and Eastbourne are popular local destinations. South Eastern rail services provide direct access from Tunbridge Wells to Charing Cross (via London Bridge and Waterloo East) and Cannon Street in just under one hour. We encourage commuters to look ten minutes down the line, where the stations at Frant, Wadhurst and Stonegate offer easier parking and less congestion. The Uckfield line provides services to London Victoria. Junction 5 of the M25 is about 10 miles up the A21. Gatwick Airport is 22 miles away via the A264. Tom & Elbie’s Top 10........... Tips For Presenting Your Property With Pets! "Really helpful agents. We bought through Kings and the team were extremely helpful throughout the process! Highly recommend!" "The service I have received from Kings has been of a very high standard throughout and I have confidence that this will continue. They are a professional but friendly firm and are brilliant with communication. I chose to use Kings to rent out my own home after having rented a property and being a tenant with this agency myself; I had been impressed as a tentant and now as a landlord. All of the team I have spoken to have been very knowledgeable and helpful and they also show a good understanding of how important a property can be to you. I have been particularly pleased with the communication experience I have had with my key lettings contact but can honestly say the whole Kings team have been fantastic. I would highly recommend them." "I have sold two properties with Kings in the last year. I found them to be helpful, friendly and professional at all times. Kings listen to you and deliver the goods, I would recommend to a friend without reservation". "Thanks for all your work, you and the team have been amazing, if I ever have the opportunity to use Kings again or can recommend you I most certainly will". "Thank you so much for the fabulous work you did on selling our flat. The efficiency with which you dealt with all our enquiries and the way you kept us constantly up to date with phone calls and texts went a long way to making the sale as stress free as possible. And the best thing? When you said you would call us back about something Ã¢Â€Â“ you actually did! We never had to chase. Many thanks". "I was incredibly impressed with the efficiency and professionalism of Kings when renting out my flat. They have kept me informed, taken time to understand my preferences and requirements, and have continued to be most helpful. As a first time landlord, I couldn't have asked for more". "Kings have been extremely helpful from the moment we first contacted them. We love the family approach, nothing is too much trouble. The full service package they provide gives us peace of mind in knowing that our property is in safe hands. We would recommend Kings to anyone thinking of renting or selling their property". "I have found the work by the entire team at Kings to be exemplary, courteous, professional and friendly at all times. 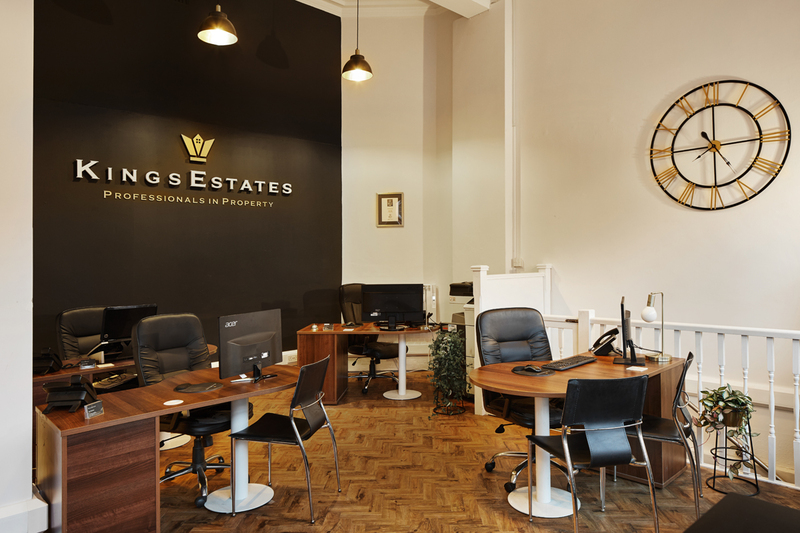 As I have a number of properties, I do have contact with all of the members of the team from time to time and I have found that the service by Kings 7 days-a-week remains a comforting constant and I thank you very much for that. It is not often that I write to praise efforts by a company as most seem to fall short in some respect or other, all too often by a long way. I have found this is not the case with Kings which is why you manage a good portion of my residential portfolio, allowing me to get on with managing my business". 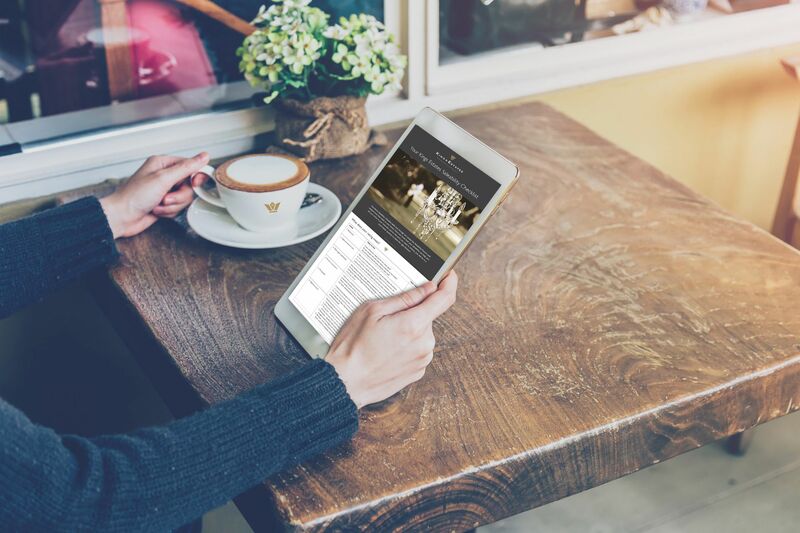 "Just to say a big THANK YOU for all your help and as you know we will always deal with your office when any other of our properties come vacant and will definitely recommend your company to other people who might be needing a reliable estate agent". "I found the team at Kings to be thoroughly helpful, friendly, responsive and professional throughout the sale of my flat in Tunbridge Wells. They found me a cash buyer within a week and diligently worked to see the sale through to a swift and successful conclusion. I would happily recommend Kings to someone looking to sell a similar property. Overall Kings helped to make the process of moving as pleasurable and stress-free as possible". "Kings have managed my property let in Tonbridge with great efficiency and professionalism. The service they have provided has been outstanding from day one including finding a suitable tenant, completing all the checks and paperwork and monitoring the property during the letting period. Mike Heath has been excellent in communicating with me and in dealing with any issues that have arisen". "This is probably the easiest testimonial I will be able to give! One of the most stressful processes in life is selling a house and moving, especially when you are selling a house with severe parking issues and wanting to move quickly somehow the team at Kings managed to overcome all these hurdles and get a sale on our house within 4 weeks when we thought it may take up to a year. The whole team were fantastic, but special thanks to Gemma for her initial expertise and professional approach in the valuation and marketing and then to Harriet for her tireless efforts to find the right buyer especially for going above and beyond the call of duty to chase solicitors and push the sale through as quickly as possible. From a business point of view the whole service was outstanding and on a personal note myself and Claire really appreciate the staff at Kings taking note of our personal circumstances and making extra efforts to get the sales completed before the birth of our son. Thanks to Kings we are now where we want to be and love where we live. Well done Kings Ã¢Â€Â“ the outstanding candidate to sell or let any home and we will be sure to recommend you". "Hi Gemma, Just a brief note to say a big thank you to you for all that you did to make things run so smoothly in the sale of Mums bungalow. Your sensitivity to the circumstances of the sale were really very much appreciated and beyond anything that I had expected. Finally your thoughtfulness of the bouquet took me completely by surprise today. It is really lovely & the colours match those in my lounge, how clever of you. So my heartfelt thanks to you for all that you did and the way that you did it, I will have no hesitation in recommending Kings Tunbridge Wells, in the future. Please let me know if I can do anything to help you in the future. Kindest regards". "Having a house to sell in Sevenoaks, I put my house on with Kings in Tunbridge Wells because I knew Gemma Heath. She assured me that with Rightmove and all the property portals they now use, location wouldn't be an issue. As our house was on a busy road junction and it had taken a house four doors along over two years to sell, we duly instructed Gemma Heath and sat back to wait. Within two weeks we had had seven viewings and an offer from a buyer who had already exchanged! Right the way through the process Kings kept me posted of what was going on and we exchanged contracts with no bother. Kings made what can be one of the most stressful things you ever do as stress-free as its possible to get and I have been very happy to recommend Gemma and the team at Kings to friends". 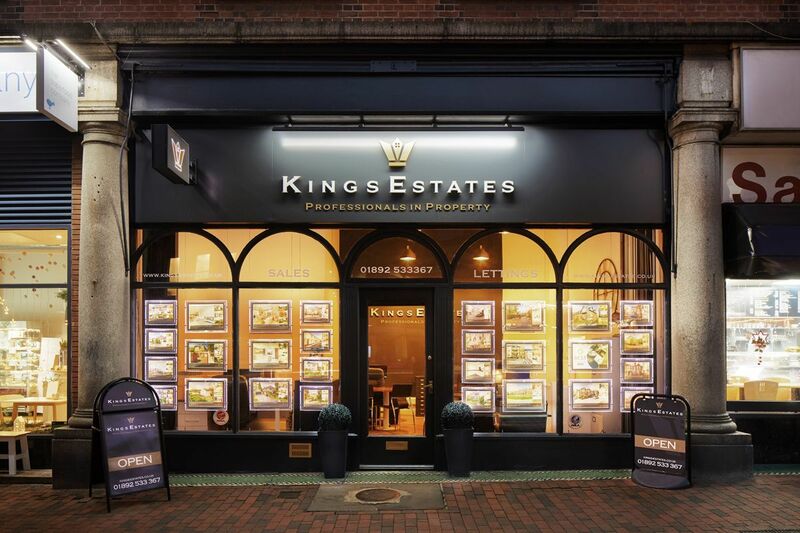 "Having moved many times over many years and had contact with estate agents of varying abilities, I cannot praise Kings in Tunbridge Wells enough for their help both as letting and selling agents. Mike, as letting agent, and then Gemma as selling agent when I decided to sell my flat. They have been helpful, efficient, courteous, diplomatic and always kept me informed as to how things were progressing. Whilst I hope never to have to move again, if it became necessary, I would have no hesitation in using them once more". "Hi Gemma, every now and then (when not near my email) I recall that I have not thanked you for your help in selling my flat, but today I remember whilst online, so here is the moment. It is a delight to me to be liberated from the situation I was in, and I enjoyed working with your company and am very grateful for the non-corporate way you work, your flexibility and helpfulness. I wish you and your business well. Many thanks, Cathy"
"We cannot thank you enough for your patience and understanding throughout the 6 month long journey of selling our flat, we would wholeheartedly recommend anyone to deal with Kings Estate Agents. Professional, efficient, regularly kept up to date via telephone/email or texts, without you our sale would not have completed and we would have lost our purchase too. The flat above us took over 1 year to sell and complete! This has been one of the most stressful 6 months ever although Kings sold the flat within days of putting it on the market! Gemma constantly chased solicitors & Agents, giving advice and help, the service you have provided has been absolutely outstanding. Best wishes Sylvia & Bernard". 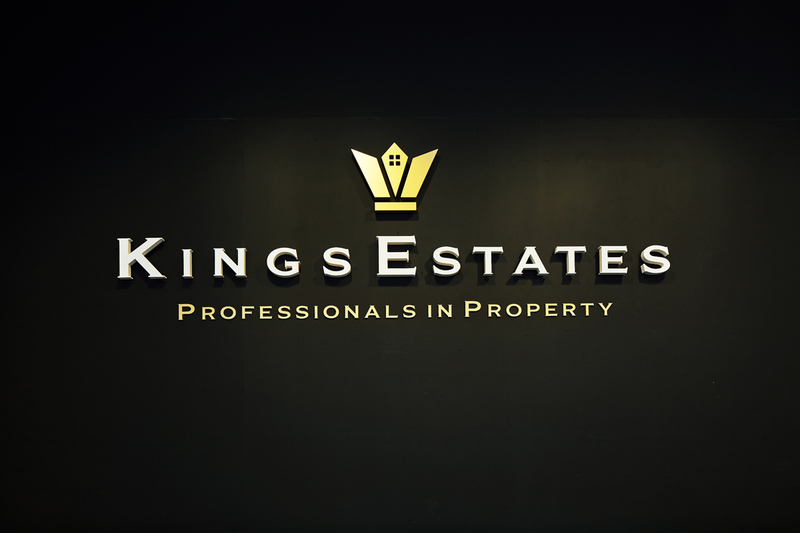 "Thank you for the service we have received from Kings, without exception everyone has been positive and professional with a really good response time and a great result for us. We wouldn't hesitate to use you again and have already recommended you to several friends in the area. Thank you. Kind regards, Ema & Ashley". "Having rented out my property through Kings for a number of years I had no hesitation in entrusting its sale to them. I wasn't disappointed as the service provided was second to none. Kind regards, Julian". "To Gemma, thank you so much in helping us find our dream home of which our second home is now Homebase! Your friendly guidance and general excellent service assured us that we would get the house as we were in the best possible hands. We will definitely recommend Kings to our friends / family and look forward to dealing with you in the future". "Very professional, friendly and unrivalled knowledge of the market. Had the flat on the market exclusively and received a great offer within two weeks. Cannot recommend Kings Tunbridge Wells enough".